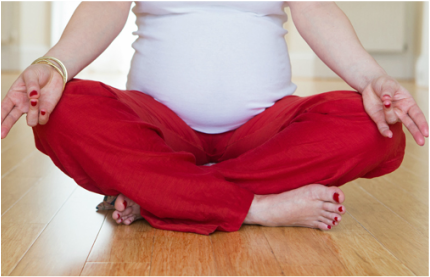 Yoga for pregnancy classes are suitable for pregnant women – from 14 weeks right through to birth. They are an enjoyable way to maintain fitness, prepare for birth, meet new friends and learn more about your changing body and how your baby develops. The poses have been specially adapted to develop strength and increase energy - working with the pregnant body and taking into account the individual needs of each woman. Practise movements and poses that have been specifically adapted to develop strength, increase energy and promote wellness during pregnancy. Learn breathing techniques that encourage feelings of calm and control and many women find useful during labour. Experience the benefits of deep relaxation. Classes are held in studios that offer a warm, comfortable environment with excellent facilities. Mats, cushions and all you need are provided with the aim of making your journey as pleasant as possible for you and your baby. Join from 14 weeks and pay £64 every eight weeks (adjusted nearer your due date). Prepare yourself and your partner for the birth of your baby. Contact to register your interest and for the next date. ​ For bookings please click here or contact Tara.